Everything you need to create and securely share your PDF documents and files! Direct email share: send your newly generated PDF files with Microsoft Outlook. 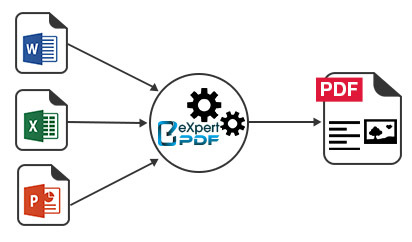 Manage printing profiles: save conversion profiles (encryption level, password, image compression, watermark …) and apply them to newly generated PDF documents. Click on “Create PDF” located on the Homepage. Select “Create PDF From Any File”. Choose a file from any PC application (Word, Excel, PowerPoint, Jpeg, Web browser, etc. ).